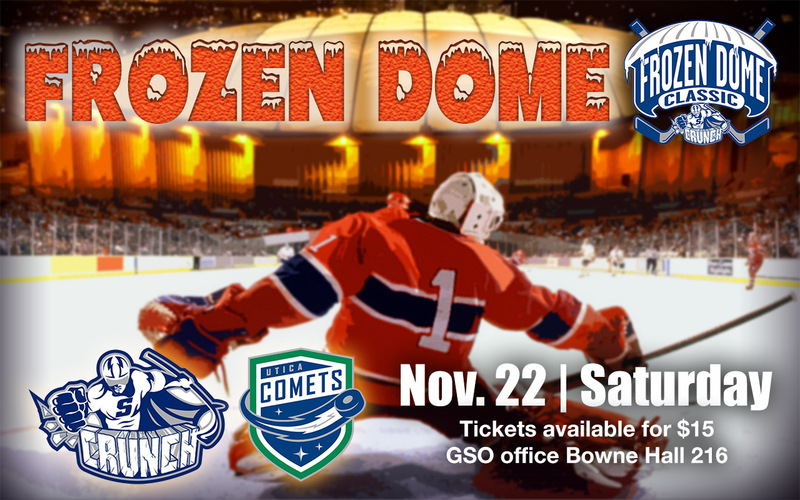 Syracuse Crunch will be hosting the Frozen Dome Classic at the Carrier Dome on Saturday, November 22! Tickets are available at the GSO office (Bowne Hall 216); $15 per person, no purchase limit. Come by our office during office hours (can be found here) with your student ID. Click here to visit Syracuse Crunch Frozen Dome event page for more information!